I recently watched Steven Spielberg’s film, Bridge of Spies. 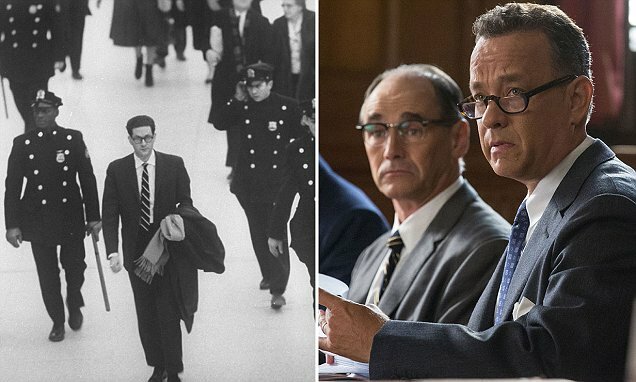 At 2 hours and 20 minutes, Spielberg needed time to tell the complicated story of how an insurance lawyer from New York ended up representing an arrested English Soviet spy living in New York, and subsequently getting in the middle of a two-front prisoner exchange negotiation in Cold War Berlin between uncertain representatives of the Soviet Union and East Germany, whose own alliance seemed strained at best. And yet the time of the film zipped by. Tom Hanks plied his Everyman shtick to perfection as the lawyer thrust into geo-political intrigue. Mark Rylance was absolutely riveting as the captured Soviet spy, and the famed Coen brothers helped craft a narrative that was clear, and at times, witty. One particular scene, which apparently had no basis in fact and was done for dramatic effect (effectively), made me wonder. It was a scene where Tom Hanks’ character, James Donovan, is crossing from East to West Berlin over the wall, and witnesses in horror the shooting of a would-be escapee. What must have been the feelings of West and East German athletes at the Summer Games a few years after the wall went up, especially since they had to compete as one German team? Were they happy? Antagonistic? Were they so focused that they simply didn’t notice each other? East Germany sent no athletes to the Helsinki Games in 1952. But at the 1956 Games in Melbourne, 37 East Germans joined West Germans on a unified German team. This unified German team was identified by the country code GER, was represented by a flag with black, red and yellow stripes, centered by five white Olympic rings, and was presented gold medals using the opening to Beethoven’s Symphony No. 9. The Berlin border closing during the Olympics had gone largely unnoticed by German athletes in Rome, but months later it took on an unavoidable physical reality when the Berlin Wall went up. Kraemer called the construction of the wall “a huge surprise…It was very cruel for many, especially the finality of it. We were all shocked, as nothing had hinted to its erection before it happened.” The wall, and the cold war tensions that followed, made a sham of Avery Brundage’s insistence that the Germans bring another unified team to the Olympics in 1964. West German sports officials refused to have anything to do with their East German counterparts after the wall went up, and fielded a combined team in Tokyo in name only, barely able to “maintain the façade of being unified,” in the words of historian Heather L. Dicther. Read a relevant post I wrote previously, Escape from East Berlin in October 1964: A Love Story. Posted in Geo-politics, Other Olympics, Tokyo 1964 and tagged avery brundage, Beethoven's Symphony No. 9, Berlin Wall, Bridge of Spies, Coen Brothers, David Maraniss, Heather Dicther, Ingrid Kramer, Mark Rylance, Steven Spielberg, Tom Hanks, Unified German Team. Bookmark the permalink.